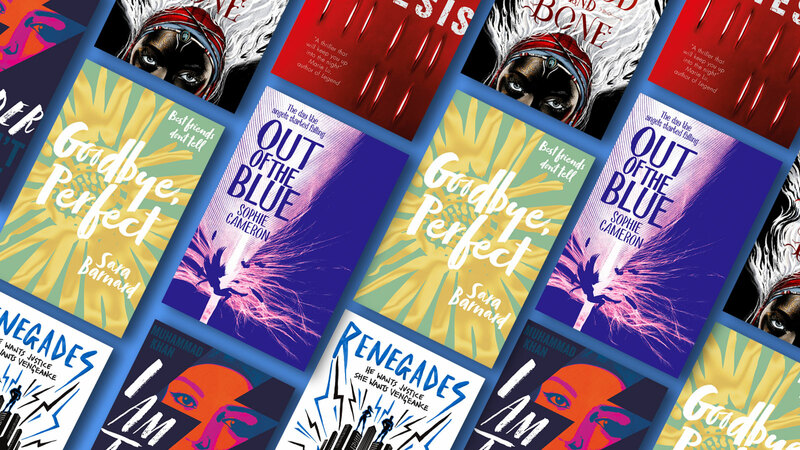 Our MKB Sneak Peek includes extracts from six of our amazing 2018 YA titles just for you! Exciting news alert! The latest MKB Sneak Peek is here. Wondering what books should be added to your TBR pile? Wishing you could have a sneaky look inside before deciding which one to read first? Well, our MKB Sneak Peek includes extracts from six of our amazing 2018 YA titles just for you! Zélie remembers when the soil of Orïsha hummed with magic. But everything changed the night magic disappeared, when under the orders of a ruthless king anyone with powers was killed, including Zélie's mother. Now she has the chance to bring magic back. . . It comes as a bit of a surprise when Eden's steady, straight-A best friend Bonnie runs away with a guy Eden knows nothing about five days before the start of their GCSEs. Sworn to secrecy and bound by loyalty, only Eden knows Bonnie’s location, and that’s the way it has to stay. Even when she’s faced with police questioning, suspicious parents and her own growing doubts. Smashing down to earth at extraordinary speeds, wings bent, faces contorted, not a single angel has survived. Then something extraordinary happens: an angel lands right at Jaya’s feet, and it’s alive . . .
Fifteen-year-old Muzna Saleem is used to being invisible. So no one is more surprised than her when Arif Malik, the hottest boy in school, takes a sudden interest. But Arif is hiding a terrible secret and, as they begin to follow a dark path, Muzna faces an impossible choice: keep quiet and betray her beliefs, or speak out and betray her heart. The Renegades are humans with extraordinary abilities who emerged from the ruins of a crumbled society and established peace and order where chaos reigned. Noah Livingston knows he is destined to survive. Min Wilder knows that survival alone isn’t enough. In a violent world where brute force passes for leadership, Min’s instincts rebel against allowing others to decide who lives and who dies. She’s ready to fight for what she believes in. And against whoever might stand in her way.